Managing projects with a close-knit team can be very rewarding. Friends are made, networking happens, we learn technical details that we didn’t know or understand before, and working toward a common goal with a team you like is, well, sort of fun. Yes, I said it… working on creative projects and managing a team to a successful rollout or implementation or design for your project client can actually be fun. However, there can be bumps along the way and there can be those times when it is less than fun for you to find members of your team straying from the others or too focused on some other activities. Let’s look at five key ways to help avoid that situation – five key ways to keep your project team members fully engaged from beginning to end on the engagement and focused on what you need them to be focused on – your project’s success. Let them know they will be evaluated. At the beginning of the project, let the team know that part of your job involves evaluating their performance on the project and passing that information on to their supervisors. Keep it somewhat lighthearted, because some people cringe when they hear “evaluation”. But everyone expects their supervisors to be evaluating them and knowing that their performance is being monitored closely while they are being loaned out to your project will help keep them from treating the project work like a vacation from their real jobs. Use them early for project planning. There is no question that we all feel more accountability to, and ownership of, something we helped create. Getting as much of your team onboard and together during the early planning phase of the project, will not only help them feel more like a team, but will also help them feel that ownership and engagement on the project is something that you are definitely striving for. Some projects are long, some are short, but the team that collaborates early on in the creation of the project will be more cohesive and more focused on the goals of the project and driven toward its success. Of course, bringing everyone on as early as possible can also have negative impacts on the budget, so plan well and watch the project expenses carefully. Have each member talk on each client status call. Knowing you’re going to be called on every week to update the client on your personal work on the project will usually ensure that you remain engaged. Trust me, this works as a great way to make sure your team is available, in attendance and alert every week on every project client status call. run a successful project from concept to kickoff. Have an internal team meeting every week. Conducting an internal project team meeting every week is not only a great way to keep everyone informed and to get status updates from team members on their assigned tasks every week before sending a revised schedule to the client. It is also a good way to make sure everyone is on the same page and fully engaged on the project. Most project team members have other projects that they are working on concurrently. If you let team members fall out of touch, your project won’t necessarily be their top priority…it may be someone else’s project that they become focused on. Don’t let that happen…stay consistent with the internal project team meetings…hold them every week. The best thing I ever did on a very large government project that I was managing was, to have all peer managers participate in the updates of the project tasks that fell under their management area each week. It kept everyone engaged, it kept the schedule accurately updated each week, and it ensured that progress was always being made. It goes back to the “ownership” concept mentioned earlier. 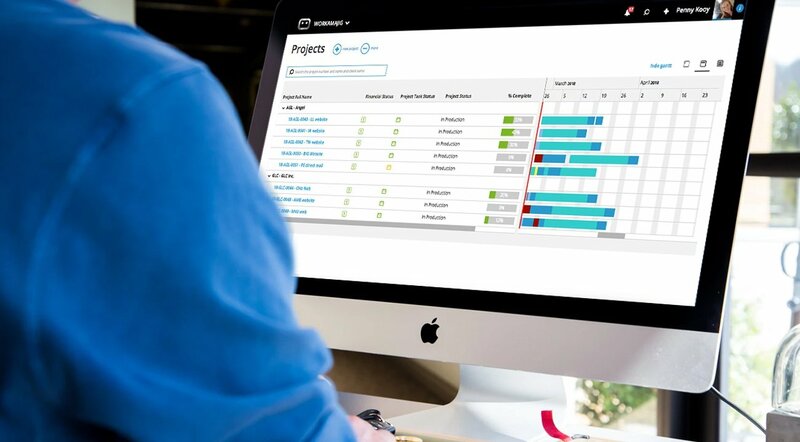 Close collaboration and information sharing is critical for project success, and using collaborative software allows for your team to be more participant every step of the way.